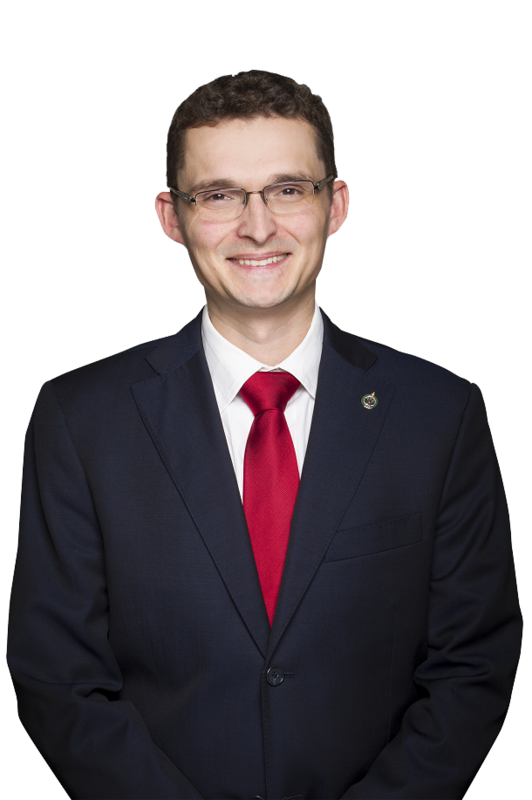 Tom Kmiec was born in Poland and raised in Quebec, where he graduated from the Université de Concordia with a Bachelor degree in Political Science. He has a Master’s degree from Regent University, Virginia, USA, in American Government with a concentration in Terrorism and Homeland Security. 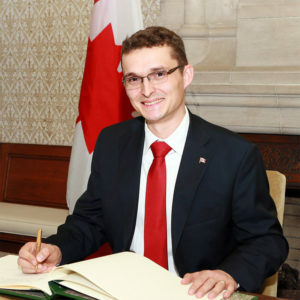 Tom Kmiec is the Member of Parliament for Calgary Shepard currently serving his first term on behalf of his constituents. Tom is married to Evangeline and they have three kids, Maximillian, Jolie and Enoch. Tom is a long-time conservative activist having served on electoral district association boards, on provincial leadership committees and helped conservative candidates at the civic, provincial and federal level. Tom has also served for ministers both provincially and federally in portfolios as diverse as Finance, Immigration, Sustainable Resource Development and National Defense. He is a past manager of policy and research with the Calgary Chamber of Commerce and the past registrar for the human resources profession in the province of Alberta. In the latter role he developed the first Alberta Human Resources Trends survey that provided labour market information from HR professionals across the province of Alberta and received national coverage in the Globe and Mail as well as Macleans magazine. Tom is a past board member with the Kidney Foundation of Canada’s southern Alberta chapter and a 2-time Kidney Marcher.